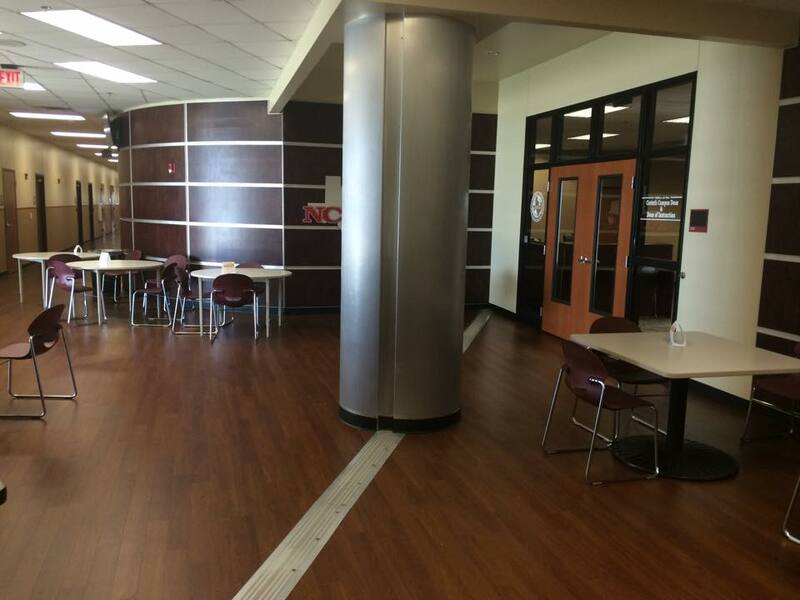 Registration/exhibit area, North Central Texas College, Corinth campus, for “There Are Such Things! Vampire Studies Symposium 2015.” Photo: Dax Stokes. On Saturday, Oct. 31, 2015, Texas’s vampire scholars will descend on a small college campus north of Dallas for “There are Such Things! Vampire Studies Symposium 2015.” This will hopefully be the beginning of an annual tradition. Official flyer for “There Are Such Things! Vampire Studies Symposium 2015.” Photo: Dax Stokes, NCTS. The symposium will feature five lectures and small group discussions over lunch. The keynote speaker will be Dr. J. Gordon Melton of Baylor University, author of the essential reference work The Vampire Book: the Encyclopedia of the Undead (1994; 1999; 2011), as well as the forthcoming The Vampire in Folklore, History, Literature, Film and Television: A Comprehensive Bibliography (2015), compiled with Alysa Hornick. Other speakers include Dr. Thomas Garza, professor of Slavic Languages at the University of Texas, and editor of The Vampire in Slavic Cultures (2009); Dr. Michael Bell, folklorist and author of Food for the Dead: On the Trail of New England’s Vampires (2001); Dr. Joseph Laycock, philosophy professor at Texas State University and author of Vampires Today: The Truth about Modern Vampirism (2009); and me, the librarian at North Central Texas College and host of The Vampire Historian podcast. In addition to the lectures, there will also be a time to meet the authors and purchase their books (and get them autographed). The conference will run from about 8:30am-4:30pm, at the Corinth campus of North Central Texas College, a 20-minute drive from Dallas/Fort Worth International Airport. Participants will also have a chance for networking and discussion over lunch, which is included in the registration fee of $20. 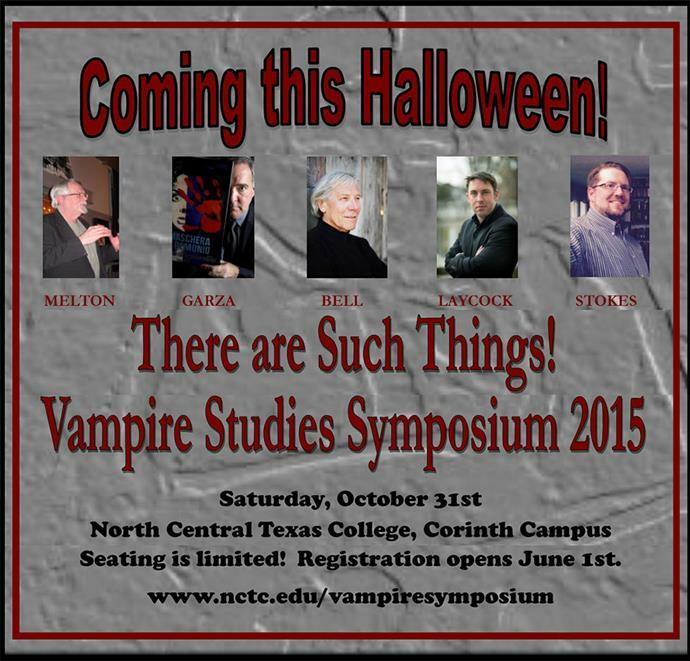 Seating is limited, so register early at www.nctc.edu/vampiresymposium. Dax Stokes wrote about meeting J. Gordon Melton and Michael E. Bell in an exclusive article for Vamped. To learn more about the event and to keep up-to-date with developments, like the Vampire Studies Facebook page. Dax Stokes is an academic librarian and professor with an interest in Dracula; the folklore vampire; and vampires in popular culture. He frequently lectures on these topics in the North Texas area, where he lives with his wife and three children.